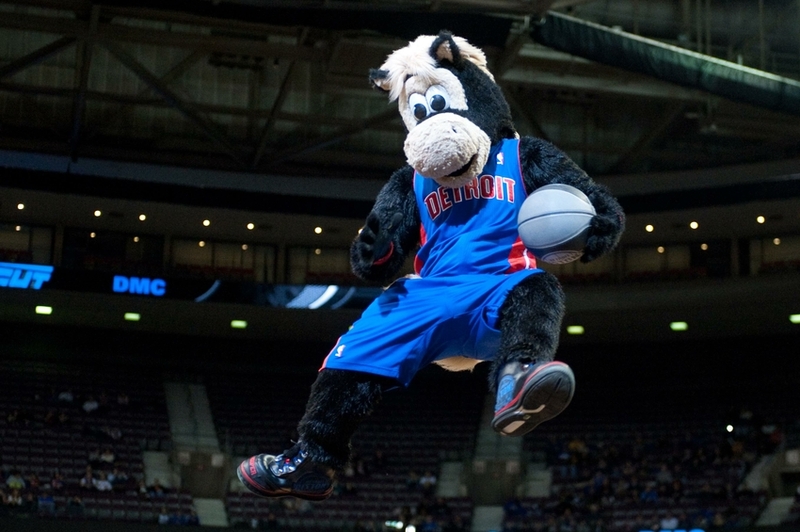 The Charlotte Bobcats Mascot Rufus Lynx Has Been Replaced By Hugo T. Hornet. Also Pictured (Clockwise): The Raptor, G. Man, Harry The Hawk And Bango The Buck. With the 2014-15 NBA season upon us, let’s get going on some basketball posts, and let’s start with two fun, colorful ones. 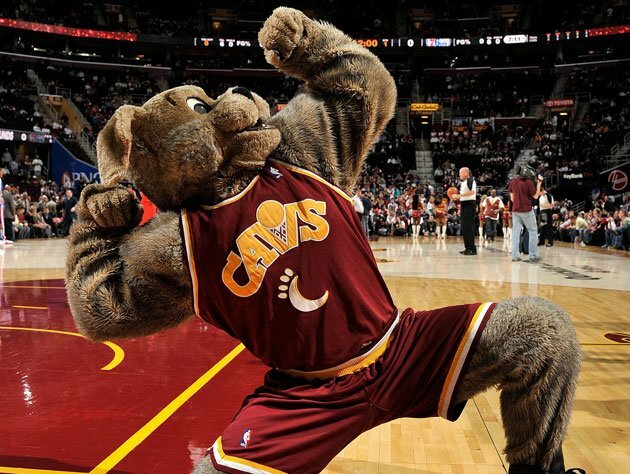 Sure it’s not our usual statistical hashing, but mascot posts are pretty popular. So, give the people what they want. And it’s something to know, too. 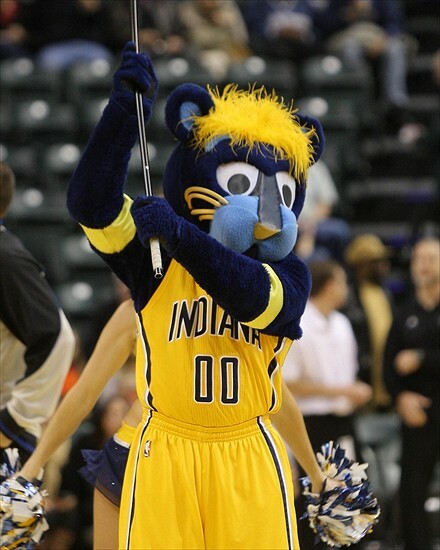 Out of 30 teams, only six do not have a mascot (not including Jack Nicholson and Spike Lee, ha). Let’s go alphabetical. 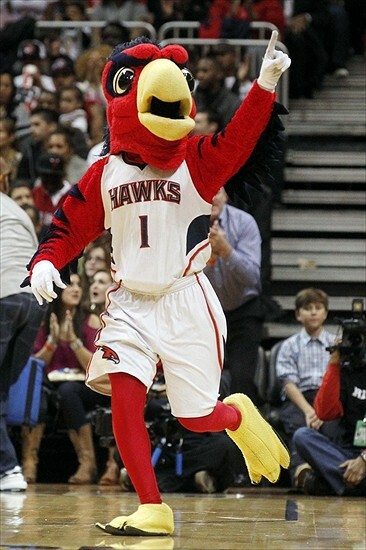 Today, it’s the mascots of the Atlanta Hawks through the Memphis Grizzlies. Tomorrow, it’s the Miami Heat to the Washington Wizards. Click on the pics below for the full size photos. 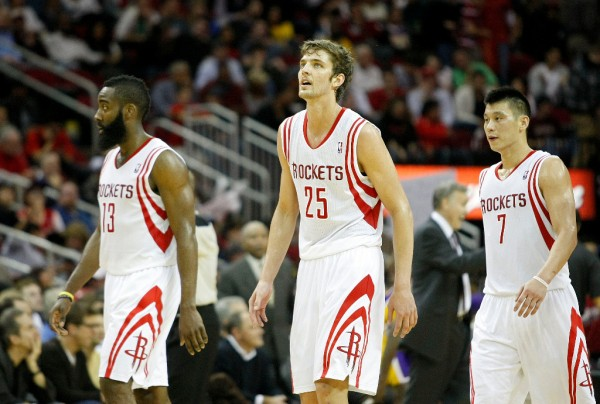 Jeremy Lin (5), James Harden (4) and Chandler Parsons (4) combined for 13 three-pointers tonight, and the Houston Rockets tied the all-time record for three-pointers made in a game as they beat the Golden State Warriors 140-109. The Rockets had 23 treys, tying the Orlando Magic of 2009, who did it on the road (A). Forty-one teams in NBA history sunk 17 three-pointers in a game. Then, the field really shrinks. Only 18 teams dropped 18 three-pointers. Then, you have today’s list – the top 20 teams with the most three-pointers in a game – or every team with at least 19 of them. The New York Knicks feature the most times – six! – followed by the Phoenix Suns with five. Have you noticed the increasing importance of the 3P in the NBA over the past decade, or at least the reckless abandon with which many teams are embracing the long-distance shot? A full 22 of the 23 teams listed below made their mark post-2005, which is borderline shocking. And five are from this season, barely past its halfway point. What happened to the 1980s and 1990s? Thanks to basketball-reference.com‘s play index, where I asked this, and where you can check out the box scores of every one of these games.